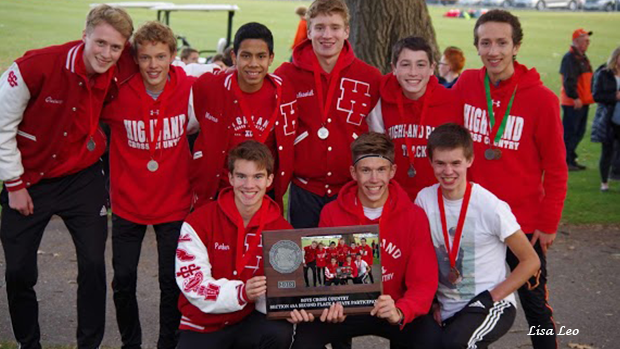 The Highland Park Senior High School cross country team is one of the most friendly team environments you will find. They accept everybody and want people to be themselves. Every single runner on the boys team is amazing. They are so generous, kind, and fun to be around. They made the hard workouts bearable and managed to pick me up if I was having a rough day. They always made me laugh and made practice the most fun part of my day. My name is Sid Gross and I graduated from Highland Park Senior High School last year. I wanted to write an article because the Highland Park boy's team has finally made it to State as a team for the first time in 45 years! For an inner-city school in a section (Section 4AA) with large suburban schools like White Bear Lake and Stillwater, this is a huge accomplishment. The team qualified for the State Meet because of a combination of great coaching, hard work, talent, and a commitment to excellence started by runners before them. The current Varsity squad (seniors Nathaniel Alden, Parker Johnson, and Quincy Altman; juniors Oliver Paleen, Calvin Boone, Conor Gregg-Escalante, and Marcus Hansen; sophomore Jesse Peterson; and eighth-grader Lance Georgeson) is the embodiment of these values. The 2018 Highland Park boy's cross country team's success is not due to sheer luck. They may be the Cinderella story of the 2018 season, but they didn't make it to State meet for the first time since 1973 by accident. Their success starts with coaching. The coach must discover the right amount of mileage, correct amount of workouts per week, and difficulty of training for each of their runners, and then it is up to each runner to trust in their coach and themselves to make sure that training pays off. 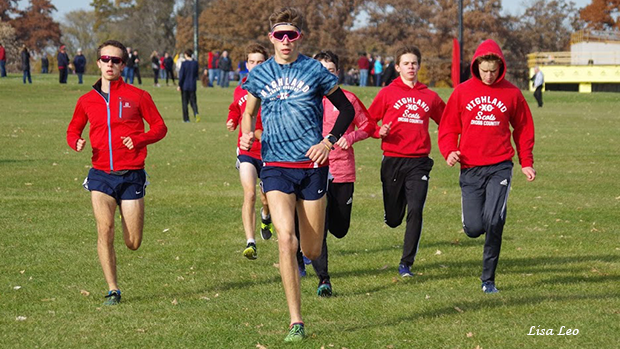 As a young, ascending high school runner, it's easy to get lost in your training, daydreaming about a Varsity spot, State meet qualification, or All-State. 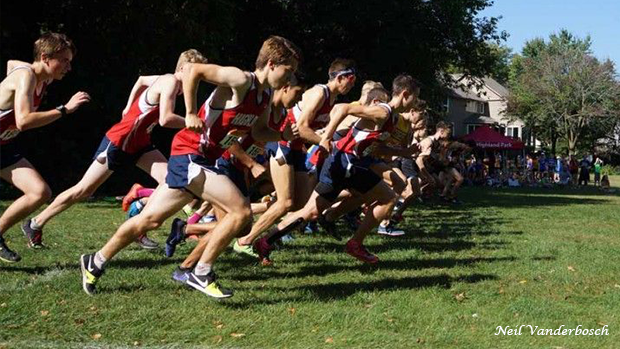 As such, they can easily fall into the trap of overtraining at the beginning of the season, hurting their chances for a good sections or state placing. It's easy for coaches to ruin young runners by pushing them too hard too early, derailing their progression. A balance needs to be struck between underworking and overworking young runners. Both the coach and the runners have to find this balance. Highland Park Senior High School's cross country coach, Brad Moening, emphasizes this balanced approach in his training philosophy. This is due, in part, to his commitment to runners during and after high school. 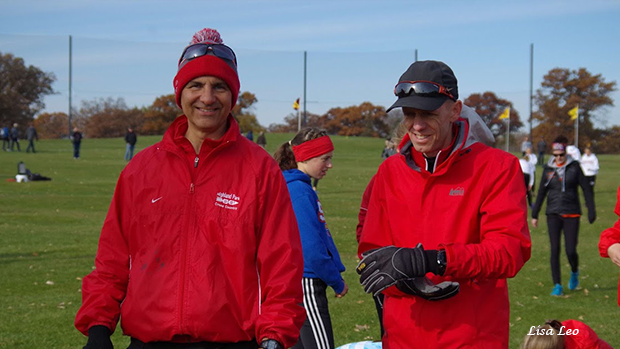 Coach Moening's main goal as a coach is to make lifelong runners out of each one of his athletes and to make sure everyone has fun doing it. This philosophy facilitates healthy training, one where runners will consistently improve if they trust in their training, and the philosophy helps protect runners from 'burnout'. When I talked to coach Moening about my worries for my Senior year cross country season at the end of my Junior year, I feared that I would start out the season strong but fade as time went on like my Junior year (I ran too much over the summer when my body wasn't ready for the workload). To quell my fears, he came up with a more personalized plan that allowed me to peak at the perfect time, sections, and qualify for state for the second year in a row. But what stuck with me from our conversation is how he said that this training plan would be good for getting me ready for college running. Coach Moening could've focused on making my training more short-term oriented, maximizing my abilities in high school but then potentially harming my overall career; instead, he made it so I was fresh and ready to succeed at the collegiate level because he wants every one of his athletes to be lifelong runners. I don't know how many high school coaches are willing to sacrifice immediate performance during a runner's Senior year in order to make the runner better off at college and beyond. Coach Moening cares about his runners. Although good coaching is crucial to success, the runners need to be committed and work hard if they are to get the most out of great coaching. During my time at Highland Park, the team leaders all wanted to do their best, and they did all they could to achieve that goal. This mentality rubbed off on me and the younger runners, and it applies to not only running, but to school and other aspects of life as well. I want to talk a bit more about three of the team's key runners, the ones who placed third, fourth, and fifth at Sections. These runners are Oliver Paleen, Calvin Boone, and Conor Gregg-Escalante. Everyone on the team knew Oliver was going to be great from the moment he joined the team. On the first day of practice every year we run a 1.5 mile time trial around the 9-hole golf course right next to our school. Oliver ran an 8:16, which is really good for an 8th grader on that course in his first year of running cross country. From that moment on, the title of "Micah's successor" or "the next Micah" (in reference to Highland great Micah Mather, who placed 2nd at State and NXN Regionals in 2015) was put on him, and he has more than lived up to the hype. Not only did he make it to State his freshman year of cross country, but he made it to State in the 3200 as a sophomore in our Section, a feat Micah didn't accomplish until his Senior year. I believed the hype, but it didn't truly strike me just how good he would be until we raced the State meet together in 2016. There was about 600 meters left in the race (we had just finished the hill towards the end of the course and I was dying) when Oliver caught up to me and started talking to me in a normal voice, encouraging me to speed up. His encouragement pushed me to have a strong kick and finish well. Although I managed to out kick him that day, I always felt like he could have gone way faster and I was holding him back. Conor Gregg-Escalante and Calvin Boone are a bit different than Oliver because they were not seen as potential 4th and 5th place section finishers when they first joined the team. Conor joined halfway through the 2016 season and started turning heads with his massive personal records every race, including a very good Conference meet placing. In the 2017 cross country season, Conor started off with a bang and stepped up for the team when Oliver went down with an injury, running a 16:21 at the Sections meet, qualifying for the State meet for the first time. Conor climbed to the top in less than a full year of running, and it was shocking to see such fast improvement. Calvin, on the other hand, was always good, but not quite great; he almost made it to the State Meet last year with a time of 16:47. This summer, Calvin decided to run way more mileage than he had ever done before and it worked out wonderfully. I wasn't sure that more mileage was a good idea because it didn't work for me and I advised him several times to tone it down, but he felt like he knew what he was doing and kept on going. He started out the season very strong and he kept getting better and better. When he has a really good race at Roy Griak, with a time of 16:35, I knew that Calvin had made the right call. He proved me wrong, and I couldn't be happier. Due to Brad Moening being the head coach of the Nordic team, and assistant coach Paul Johnson being the distance coach for the track and field team, the athletes are with each other practically year round, so we're all very close. The team stays connected year-round with captain's practices every Tuesday over the summer. New runners are very quickly introduced to the culture of the team and are able to make connections before the season even begins. This, in conjunction with captain's practices every Saturday morning during the season, helps team bonding tremendously. If someone runs cross, they most likely are doing track as well, and nordic is great cross training for running. Another reason for the tight knit nature of the team is due to the "no team member left behind" mentality. During warm-ups, the fastest runners will frequently circle back to the slower runners so everyone starts the workout together. Not only do the faster runners get a longer warm up in, but the slower runners feel as though the team cares about them and values their efforts. Highland Park has a dearth of runners in comparison to teams like Wayzata and Stillwater, but they do have great coaches and a team building year-round commitment to excellence and hard work that has developed over the past 17 years (coach Moening started coaching in 2001) and has paid off with a talented and historic team making its first appearance at the State meet in 45 years. But I do not think this is a one-and-done situation. This team is young, talented, and poised for greatness. Highland Park looks like they will upset the status quo and put some new faces on the podium this year and in 2019.